.which rapidly give rise to a secondary immune response. 21.15 An immune response to a specific antigen is produced through clonal selection. and attach a light chain to a heavy chain in each arm of the Y. Binding sites for antigens are at the ends of the two arms. 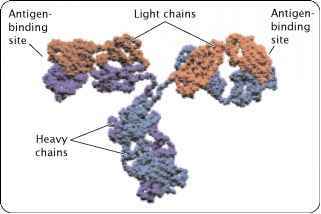 The light chains of an immunoglobulin come in two basic types, called kappa chains and lambda chains. An immunoglobulin molecule can have two kappa chains or two lambda chains, but it cannot have one of each type. Both the light and the heavy chain has a variable region at one end and a constant region at the other end; the variable regions of different immunoglobulin molecules vary in amino acid sequence, whereas the constant regions of different immunoglobulins are similar in sequence. The variable regions of both light and heavy chains make up the antigen-binding region and specify the type of antigen that the antibody can bind. 21.16 Each immunoglobulin molecule consists of four polypeptide chains—two light chains and two heavy chains—that combine to form a Y-shaped structure. (a) Structure of an immunoglobulin. (b) Folded, space-filling model. by the type of heavy chain found in the immunoglobulin. The different classes of antibodies have different functions or they appear at different times during an immune response or both. For example, in a primary response, all B cells initially make IgM but, as the immune response develops, they switch to producing a combination of IgM and IgD. Later, the B cells may switch to one of the other immunoglobulin classes. The immune system is capable of making antibodies against virtually any antigen that might be encountered in one's lifetime: each human is capable of making about 1015 different antibody molecules. Antibodies are proteins; so the amino acid sequences of all 1015 potential antibodies must be encoded in the human genome. However, there are fewer than 1 X 105 genes in the human genome and, in fact, only 3 X 109 total base pairs; so how can this huge diversity of antibodies be encoded? The answer lies in the fact that antibody genes are composed of segments. There are a number of copies of each type of segment, each differing slightly from the others. In the maturation of a lymphocyte, the segments are joined to create an immunoglobulin gene. The particular copy of each segment used is random and, because there are multiple copies of each type, there are many possible combinations of the segments. A limited number of segments can therefore encode a huge diversity of antibodies. 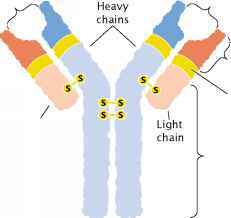 To illustrate this process of antibody assembly, let's consider the immunoglobulin light chains. 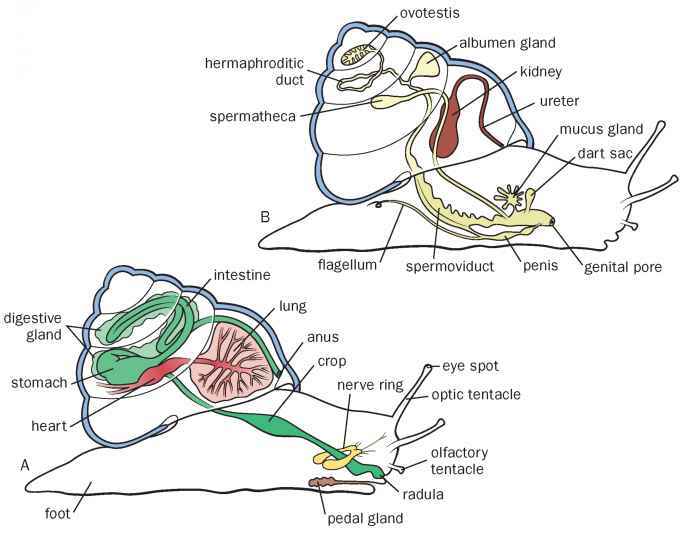 Kappa and lambda chains are encoded by separate genes on different chromosomes. Each gene is composed of three types of segments: V for variable; J, for joining; and C, for constant. The V segments encode most of the variable region of the light chains, the C segment encodes the constant region of the chain, and the J segments encode a short set of nucleotides that join the V segment and the C segments together. There are 30-35 different V gene segments,. .and 1 C gene segment in germ-line DNA. ^ In this example, V2 Is moved next to J3 through somatic recombination, producing the DNA found in a mature B cell.